Homemade bread is easy and so worth the taste. We use the leftover rolls to make sandwiches, or slice and make little toasts. 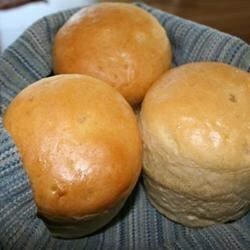 Dovetailing Tip: Leftover rolls will be used for making sliders for Meal 5. Store them in a airtight bag in the fridge.